What comes to your mind when you think of German food? Sauerkraut, sausages, and potatoes? 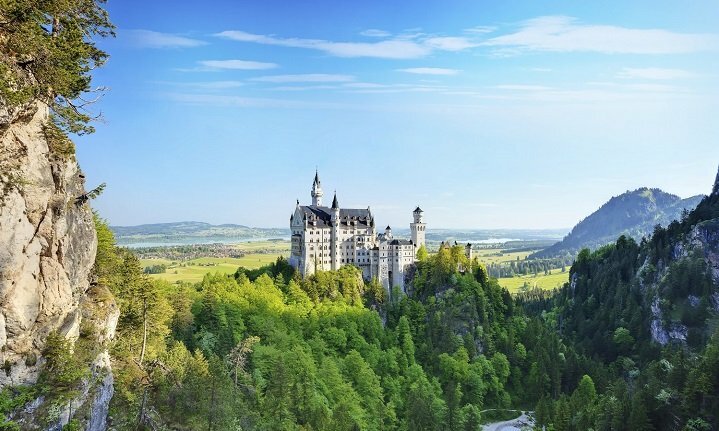 While these dishes do indeed have their place in the German kitchen, there are quite a few other meals that you can regularly find on German tables. 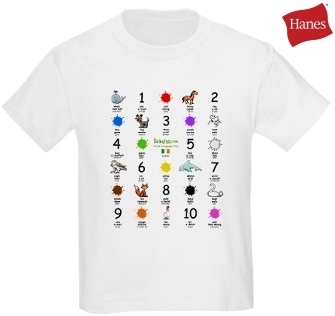 Here are the top 10 of German foods. Loin ribs are a tasty piece of meat, and in Germany they are usually served with Sauerkraut and buttery, mashed potatoes. 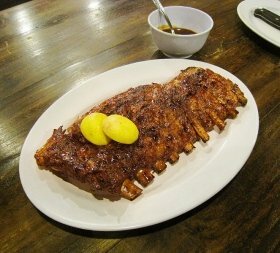 To get the best flavor, you should warm the loin ribs up with the Sauerkraut. Some Germans also love to fry Sauerkraut to give it a different kind of flavor. 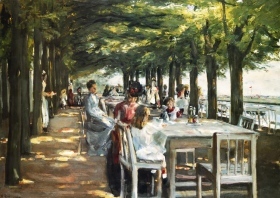 Pork used to be one of the most expensive meats in Germany, and in the past, the roasted pork was a delicacy only for the upper classes. But of course all of that has changed. 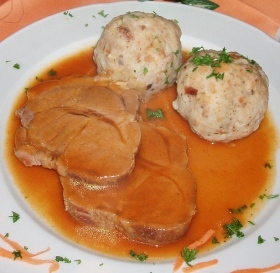 Roast pork is one of the most popular dishes, with its origin in Bavaria. 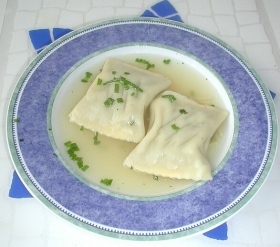 It is usually served with dumplings (Germans love all sorts of dumplings) and cooked red cabbage. A secret tip is to use a special kind of beer sauce for an extra special flavor. This traditional German dish is something your taste buds most likely need to get used to. It is hard to find a proper translation for this dish as it is not common in other parts of the world. What you do is that you marinate a roast-sized piece of beef in a mixture of vinegar, water, fried onions, wine, and spices. 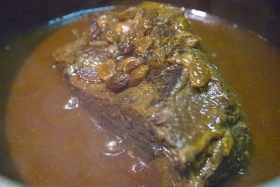 Then it is cooked, the result is a tender piece of meat with an interesting sour taste. It is often served with dumplings or mashed potatoes and mixed vegetables. 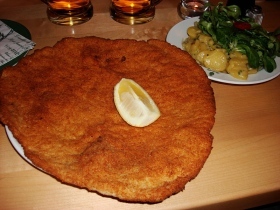 Schnitzel must be one of the most famous German dishes, you can order it all over the world – and the variations of how you can have it are almost endless. It can be fried, it can be baked, it can be covered with cheese, it can be smothered in cornflakes, you can have tomatoes on it, eat it with or without sauce, and so on. It is usually served with potatoes in one form or the other. 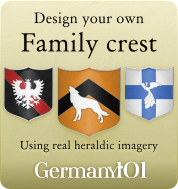 Most popular is the combination of Schnitzel and fries or potato salad. This is a dish that all Germans love (even vegetarians have their own version of it). 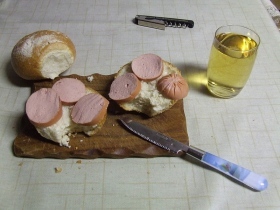 It is a German sausage cut in little pieces, just big enough for one bite. Then those pieces are covered in a curry ketchup. On top of that you put more curry powder and cayenne pepper according to your taste. It is a fast dish, and usually you eat it with a fresh roll or some fries. It is very popular as a quick lunch, during soccer games and on fair grounds. This white sausage is most popular in Southern parts of Germany. It is served with sweet mustard and bread (white bread works best, but you could also put it in a tasty, fresh bread roll or baguette). Some people don't eat the skin of the Bavarian white sausage, but it's up to you! 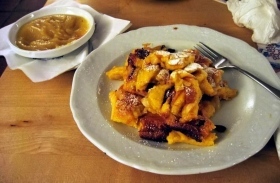 This is a sweet dish that originally came from Austria, but the Germans have adopted it as one of their favorite desserts. It is a cut-up and sugared pancake that is usually served with raisins and homemade apple sauce. However, you can also cover it with vanilla or chocolate sauce, or simply use some icing sugar. It is up to you what kind of treat you choose – just as long as it's nice and sweet. This is a lovely dish that is made with either mince or tofu (for vegetarians). The minced meat is formed into meatballs and cooked in hot water. When they are ready, they will be served in a white roux. 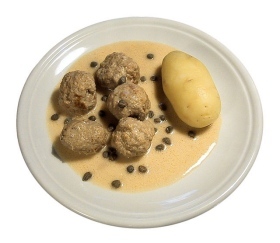 If you want to be really traditional, then you serve the meatballs with sardines, capers, and salted potatoes. Germans often make a huge pot full of the meatballs because it is very easy to freeze them. 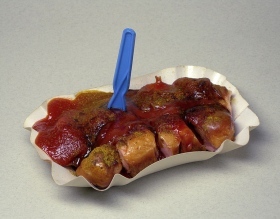 This is another German dish that doesn't have an English name. Legend says that this dish was invented by monks who wanted to eat meat during their fast. So they thought up some sort of pocket made with pasta dough. That pocket was then filled with a mix of vegetables (usually spinach), minced meat and spices. These pockets are now very popular as an ingredient of soups, but you can also just eat them on their own, or with a nice pasta sauce. 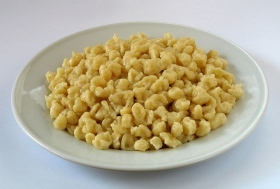 Spätzle are very popular in Germany, and once again, it is a dish we don't have a proper English name for. Spätzle are made from flour and eggs. The mix is boiled in small lumps. There is a method to creating the typical look of Spätzle, but if you would like to find out more about that, you should look up a proper recipe. After the dough is cooked, the Spätzle are then fried with onions, and mixed with cream and cheese.